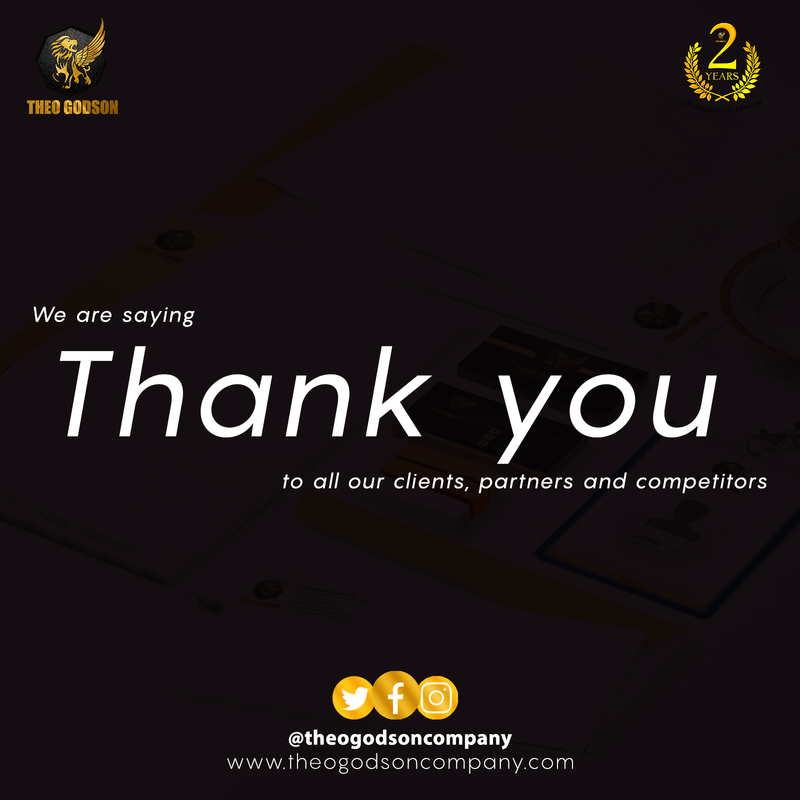 At Theo Godson Company, we take pleasure in being outstanding in all we do, even as we chart our course to enduring success. We have journeyed for two years, and we are only just beginning, for our path can only shine brighter and brighter. Our excellence is driven by passion, and we pride ourselves in the strength of our team, a team of zealous individuals always shooting for beyond the stars. and branding and as we celebrate two years of unparalleled service and move into our third, it is with great pleasure that we announce the addition of a new director to our board Miss Ezejanu Nwafor-Orizu as an Administrative Executive & Director. This is a long awaited add-on and, one, we believe sets us on the path to even greater heights. We would also like to announce the upcoming launch of our magazine “The BELT Magazine”, a one of its kind creation centered on creating awareness for the need for balance in Business, Entertainment, Lifestyle and Technology, (BELT) on the 29th of September 2017. Because we like to end the year in style, we look forward to The Crossover Jam on the 31st of December, an annual marker and a night of festivities counting down into the New Year, a night where Nigerians come together to celebrate as one Nation. Regardless of our different tribes and religions, we celebrate as one, and we invite you to be a part of this celebration. We deeply appreciate our clients, partners, investors, competitors and all others. Together you have made us better, inspiring us to raise our standards and quality of service, and we look forward to a wonderful new year. We specially appreciate our clients for letting us bring imaginations to life, you give us strength to do more and we won’t relent.